Description: Paris, Ch. 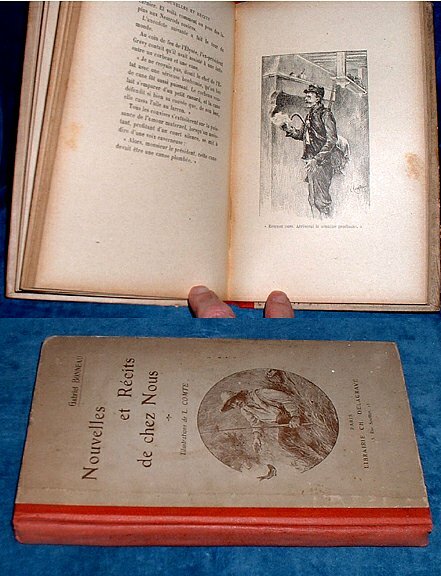 Delagrave 4th edition 1905 (publ code 5-14) Plates (10 including a portrait of the author) by L. Comte. . Octavo red cloth spined pictorial boards (tips worn) 94pp +p tables des matieres. Page count includes half title, titlepage, dedication & text pages & plates. Inscribed as a Prize from Miss Lloyd for attaining 75 marks out of 100 in the French Examinations by Elsie Wright. Pages edge browned else clean crisp and tight.